Since my last post on greasy comfort-laden strips of Turkish doner, I’ve had a couple of memorable food discoveries that I have to share with anyone who cares to know. These are food memories that have connected me ina deep, fulfilling way to some culture, some neighbourhood, or some person making the most incredible lamb ribs in a dug-up corner of the city. Celebrate these moments with me. Nigerian cow’s tail, preserved fish, cassava balls and jollof rice in where else, Naif. If you ask the receptionist of the London City hotel in Naif where to find the African restaurant, be prepared for him to return a question: Do you mean the Nigerian one, or the Angolan one? King Taste is the admittedly dodgy Nigerian cave where you can get a simple goat curry with a tomato-throbbing pile of oily jollof rice. Or you can brave some of the more adventurous dishes, like the grayish cow’s tail – a long tube of, well, tail – that challenges the foreign diner with an embarrassing eating conundrum. Gnawing through a halved but still awkwardly long and tapered (but plucked, thankfully) tail with your bare hands feels quite primitive. But try to use a fork and knife to pry away the pink innards within the gray shiny tail skin exterior, and the darn thing will roll away from you. It’s a dish that I didn’t quite figure out how to consume and quickly ditched for the easier to scoop sweetish beans and rice. I’ve also tried the preserved blackened catfish, a grizzly nob of cassava flour (Garri) and some vegetable variants that had the overwhelming aroma of stables. These dishes are admittedly not for the cowardly foodie, and I've yet to wake up craving the flavours I ate that afternoon. 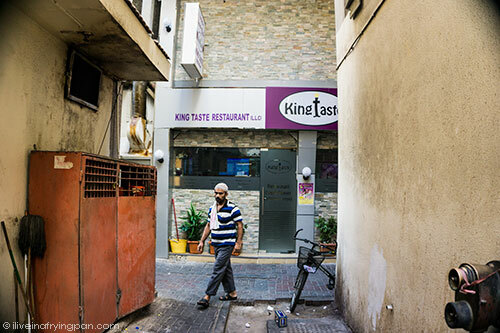 But it is Old Dubai-occurring phenomena like King Taste which remind you that all it takes is a few plates of unknown cultural territory and a poster advertising ‘Point and Kill Catfish’ to whisk you away from that known glittery land south of the creek. 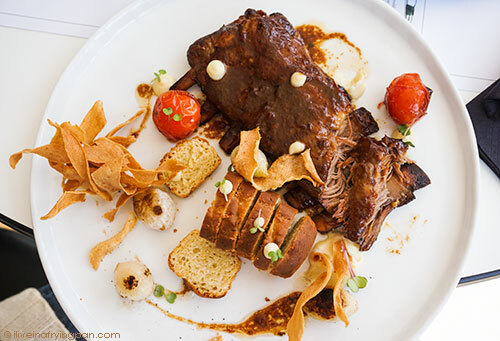 Miso-glazed lamb ribs at the Archive Dubai…and pretty much everything else that genius man Allan Briones touches with his chef’s knife. I keep seeing the same celebrity chef names on rewind. It’s time we start recognizing other talent, talent that shines even in the dismal center of that construction wasteland which is now Safa Park. If people could wait for three hours for a darn cheesecake at Dubai Mall, then please, for heaven’s sake, why can we not weather a scenic walk through whatever’s left of the park, sink down at the Archive, shed a tear for the ripped-out landscape, and then sink into the most undeniably seductive miso-glazed bultarra lamb ribs in town. Whinny like a horse as the umami flavour of the miso glaze and the butter-like threads of meat just do good things in your mouth. So good, they're almost sinfully bad. I was so overcome that I felt compelled to walk up to every menu-reading customer in the Archive, demand that they put the menu down and just order the miso ribs. I was held back in my seat by my more discreet partner. So I’ve plastered it up on the blog so that no one dare order anything else when they’re at the Archive. 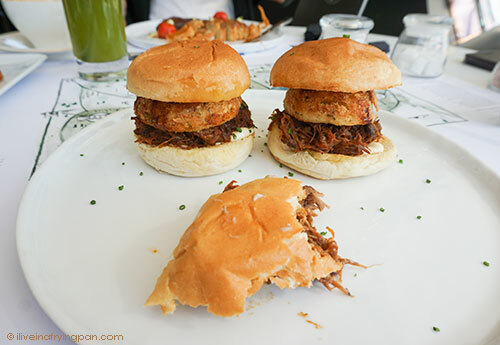 Unless you have a colossal appetite, in which case fit in the beef sliders and a slab of passion fruit cheesecake as well. Fish cookies from Malleh Gourmet. 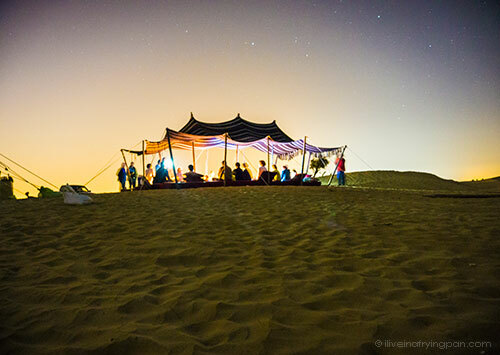 The past two years have seen a greater awareness and some interesting innovations on traditional Emirati food. One of the creative pioneers in this food wave is Nazek Al Sabbagh who founded Malleh Gourmet along with her food science-trained sister. Anyone who can take preserved, salted fish and transform it into a beautifully-packaged gourmet product that is backed up by some serious hygienic and flavour standards, deserves your business. 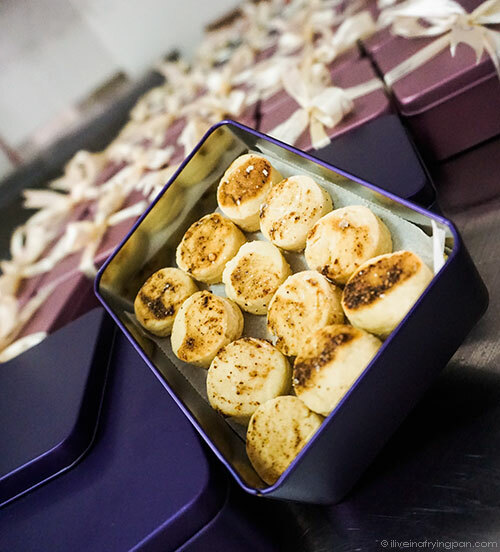 If you don’t like fish or the thought of preserved fish, pre-order the crumbly short-bread-like mahyawah cookies, made with housemade fish sauce pressed out of anchovies. The fishy smell magically vanishes in the finished baked product – I’ve fed it to my fish-averse father who found it rather salty, but not fishy. The lingering saltiness of the anchovies mingles with the butter in the cookie to replicate the uncanny flavour of parmesan. It’s the perfect rich, salty snack to pair with a cup of steaming hot kadhak chai. Nazek is an inspiration. One hour with her will give you the most interesting ways to apply preserved fish products in modern-day cooking techniques and commonly loved foods. Any discerning chef in the city would be well-rewarded to take the time out to find this lady, taste her product at the store in Jumeirah, appreciate her passion and energy, and figure out how to incorporate at least one of the preserved fish products into their everyday dishes. 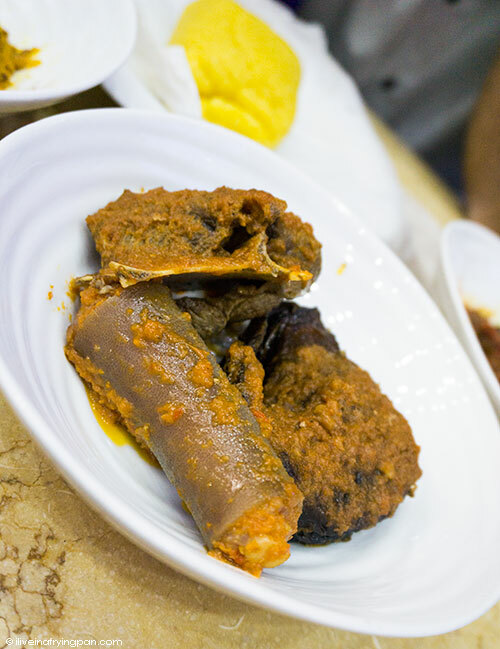 They sell Malleh (dried, salted and spiced tuna), Sehnah (spiced and ground anchovies) or the Mahyahwah (an Iranian tradition which some say has been assimilated into Emirati dining culture; it involves extracting sauce from anchovies) and of course, fish cookies which are made-to-order. 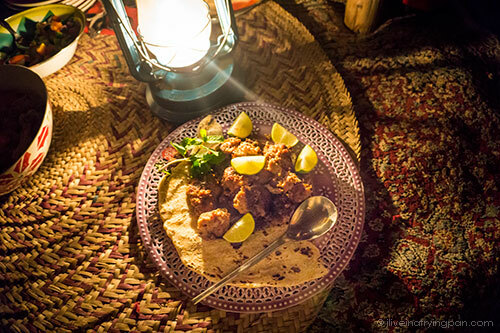 The camel meatballs and wholesome vegetable margooga at Ushi’s camel farm. Ursula is a German camel herder who probably deserves a book written about her rather than a paragraph. You will find a ton about her online, so go out there and read up about one of the most fascinating and high-intensity women you will find tending a camel farm in this city. Fighting for center stage with the camel meat balls were Ushi’s Emirati margooga, a hearty vegetable stew with a tomato broth and pieces of raw dough simmered up like dumplings in chicken soup. Can you imagine eating this warm dish in a tent under the stars in a tranquil part of the desert, without 4x4 tracks to kill the dunes and without a skimpily-clad belly dancer making the guy next to you lift his shirt and shake things that had best be left stationary? Just reflecting on this now is like a mental spa treatment for me even weeks after I visited the farm. More eclectic finds in Naif. Naif is a bottomless pit of discovery. 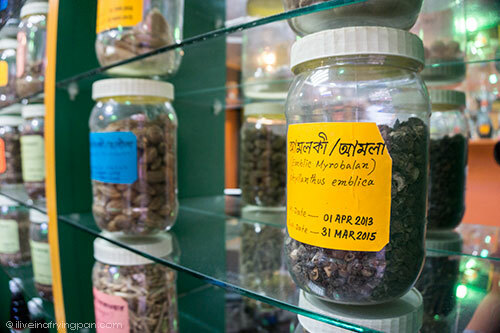 Where else would you find a herbal shop with calamus root, orchid tubers and chebulic myrobalans? 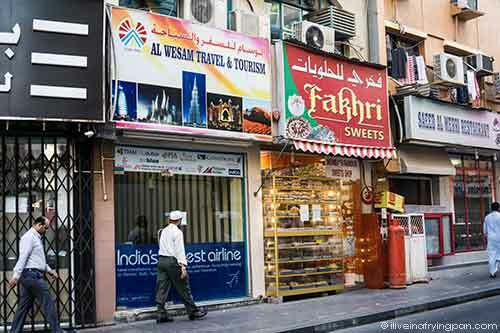 Or a sweet shop famed in the Muslim Bohra community, famous in Mumbai, famous in Naif. I won’t tell you where to find them, it kills the spirit of discovery. 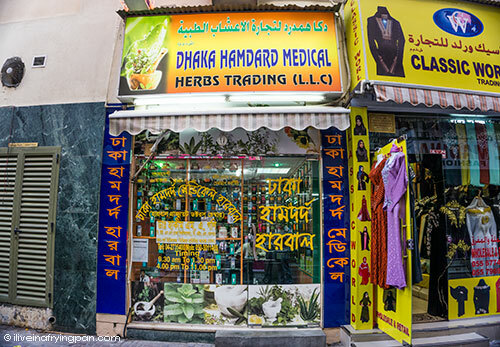 Go to Naif, get lost in the labrynth that makes up pretty much every side street of the neighbourhood, and internalize one of the oldest parts of Old Dubai through your tastebuds. 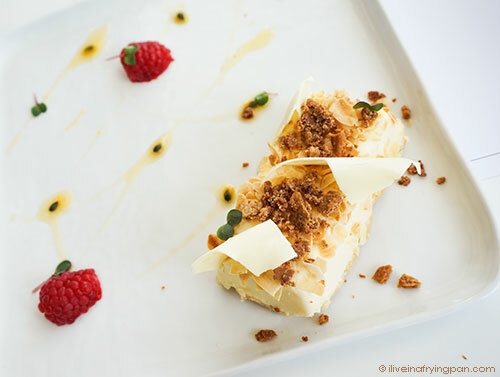 Create your own food moments to celebrate. 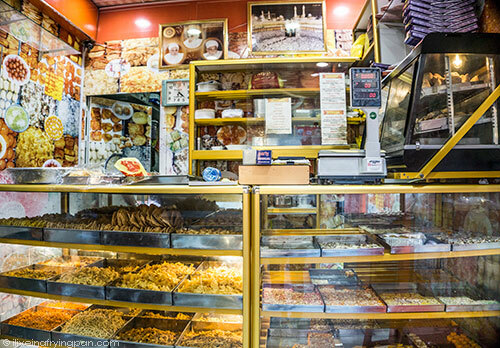 ← Older: Layali’s Tonbik Shawarma: The greasy zenith of Turkish comfort food in Naif. 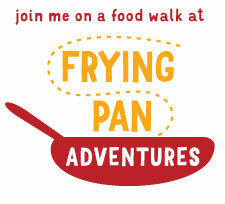 I loved reading your round up Arva; off the beaten track as usual but intriguing as usual. I also love that you didn’t give away the addresses! Will have to try those fish cookies soon.